-Left image; an unused/removed Sphinx midboss from Pharaoh Man's stage. -Middle image: a beta stage select screen. 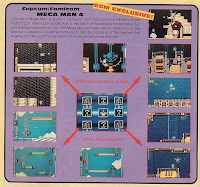 Similar to the MM7 prototype, only four out of the eight stages appear to be playable in this build. 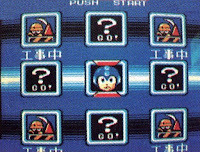 The boss tiles are vastly different from the final build, that and the Dr. Cossack emblem remains absent from the center tile, replaced by Mega Man's mug--a possible place holder. -Ring Man's stage layout looks a bit different. Also, the Wall Blasters in the bottom left screen appear black and white. 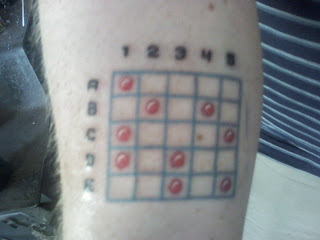 In the final, they are red and white. -It might be the quality of the screen shots, but the rain in Toad Man's stage appears thicker than the final. -The backgrounds in Bright Man's stage are completely different, that and the spikes below the Hopper appear bland and generic when compared to the final. Well, that's just about everything I could find. See something I missed? Rockman's conception is an accumulation of various Japanese heroes: Mazinger, Kikaider, Speed Racer and undeniably Astro Boy , the Mickey Mouse of Japan. 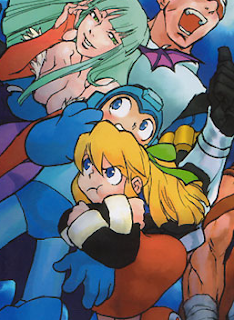 That said, I think the character deserves a certain level of respect from Rockman fans. So, for those who've never see a single episode of Astro Boy, YouTube has something in store for you: Every episode of the classic 1980's series and the more recent 2003 series is now available for viewing legally, free and in english. Click on the respective preceding links to check them out. 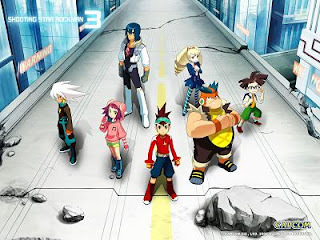 -Star Force 3 wasn't at the event, supposedly being saved till E3 2009 in early June. No press release, no trailer. Nothing. -Although Inafune was present, he mainly covered Dead Rising 2 and Lost Planet 2, answering questions from the press. Not once spoke of Mega Man. These claims might hold true as several gaming sites have yet to report anything Mega Man related. Playstation 3 users can get their first taste of Marvel vs. Capcom 2 HD tomorrow on Playstation Network. Unfortunately, no Mega Man characters (MM, Roll, Tron, etc.) are available in this particular demo, but that shouldn't stop you from giving it spin! MvC2 is a classic through and through. 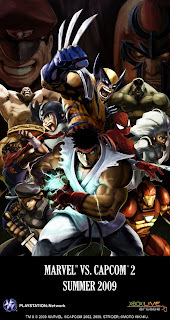 The demo includes six playable characters, (Ryu, Chun-Li, Strider, Spider-Man, Iron Man, and Wolverine) seven stages, two player local play, two graphical upscaling options and much more. The full game (Mega Man cast included) is set to launch this summer on PSN and XBLA for $15.00/1,200 MS Points. Rockman (and a very groovy instructor) gets attendees of the Rockman 10th Anniversary Festival in shape in this very creepy, yet highly enjoyable video. Not surprisingly, the Dr. Wily plush, said to be the rarest of all, is nowhere to be found. Occasionally, he pops up on Yahoo Auctions but even then he's runs for well over $80.00. MegaRock was able to dig around the US Star Force 3 website, accessing a few pages from the Satellite Server which have yet to be "published." In other words, the Satellite Server lists these pages as "coming soon" but the SWF for each is accessible, thus enabling us to see a few things Capcom doesn't want us knowing about yet. 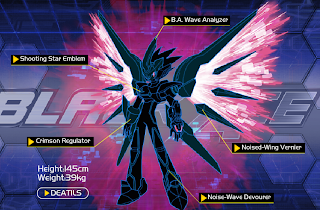 The secret pages contain advance information on Black Ace, Red Joker and Rogue Noise forms. Click on the respective links to check them out. "The game, which was developed for the PS3 and 360 by Foundation 9, will sell on the Playstation Network Store for $15 and on Xbox Live for 1,200 Microsoft Points. It features an optional visual filter that smooths out the game's graphics and new online modes, including Ranked Matches and the Quarter matches found in Super Street Figher II Turbo HD Remix, which allows up to four people to watch and chat while two others fight. The original, and this latest version, features 56 brawlers from the Capcom and Marvel universes. It also features 3 on 3 tag-teammatches and four button controls." Are you as stoked as I am? More updates throughout the night! UPDATE: After a brief blank screen scare and a server crash, the tu4ar countdown clock has ended revealing a...trailer! Online shop Fukkan is now taking pre-orders for reprints of Hitoshi Ariga's Rockman Megamix comic, which gives an interesting look at the origins of Rockman and the rise of Dr. Wily. The reprints contain brand new cover art and an all new forward by Hitoshi Ariga himself. Volumes 1 and volume 2 are planned to ship in May (unspecified date) with an estimated price tag of 1,600 Yen each ($16.98). Very exciting to see these coming along, clearly a build up for the all new Megamix volume! The Mega Man fanbase is known for its immense creativity; an undying devotion to pay homage to the Blue Bomber's world through music, video and art. 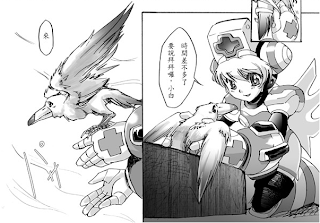 In Japan and China however, there lies a fourth medium for Rockman fans to explore, a medium that remains largely untapped in most cultures: the "doujinshi", self created comics depicting everything from tales of forbidden shipping to original stories of parody. 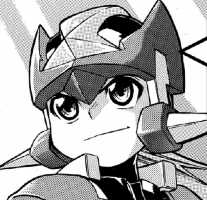 Enter "Seven Hearts: Little Bird, Little Kids", an adorable Rockman doujinsh written and illustrated by the ever talented MRi. The premise is simple and delightful: Axl and Cinnamon attempt to nurse an injured bird back to health while avoiding suspicion from X and crew ( apparently, animals of any sort are not allowed onto resistance premises). In time, "little white" is once again able to fly, forcing Axl and Cinnamon to bid it heartwarming farewell. Okay, so it's a little cliched but it's still quite charming with some great art to boot! Check out the comic here and a complete page by page translation here. Saw this over at GoNintendo earlier, had it stuck in my head all day. 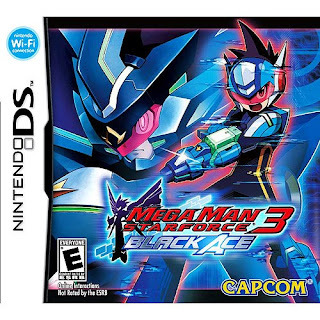 Wal-Mart's online store has updated their MMSF3 Black Ace pre-order page to include the game's box Art. Spiffy, isn't it? Pretty much identical to its Japanese counterpart -- no complaints here! Notably, Red Joker's box art is nowhere to be seen. Thanks for the tip Kyouya Garyuu! Rating summary: This is a role-playing action game featuring characters and elements from the Mega Man franchise. Characters use "battle cards" to defeat robots/aliens on 3D fields in turn-based combat. When characters are hit, a quick burst of light signifies damage. During one cutscene, a boy and a girl are being held prisoner, restrained by a laser-like force field. In another scene, a character uses the derogatory word scumbags to describe the enemies. Since when is "scumbag" a derogatory term? Apparently, the Rockman 4 and RM5 gold cartridges from Yahoo! Auctions turned out to be duds. Nigoli won the auction for the seemingly rare copy RM5 only to discover it was nothing more than a simple paint job: "These Cartridges are definitely not the real deal, as far as it goes with being exclusive. It's basically some sort of simple paint job. The Cartridge I won had some Green spots still appearing just like the Original Famicom Cart Rockman 5 had. I suppose the novelty is nice so it's like it's Gold. It's not that Shiny reflective Gold you usually see on the event / promotional Golden Famicom Carts or FDS Disks." Darn shame too as the gold edition of Rockman 4 is exceedingly rare--only eight copies exist. A legitmate gold version of Rockman 5 has yet to turn up to my knowledge. 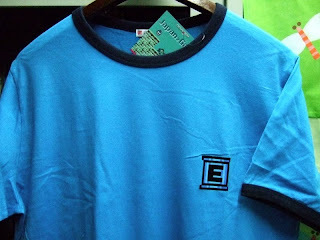 A week or so ago, Japanese clothes brand UNIQLO, revealed a line of Rockman themed T-shirts for the UTxJapan promotion. To our dismay, the shirts are only available in Japan as UNQILO does not ship internationally, but thankfully, that's where ebay comes in. Currently up for bidding is a single shirt from the line, the XL blue variation featuring an E-tank sprite on the front, with the words "GIVE ME ENERGY" on the back. Bidding starts at $16.99 with an optional $17.99 buyout price. Shipping is $10.00 in both cases. View the auction here for complete details. 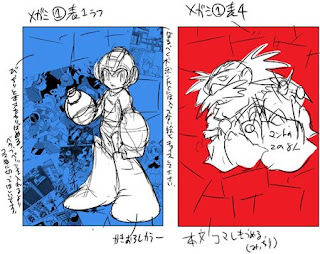 Hitoshi Ariga, creator of the Rockman Megamix manga series, recently updated his personal blog to include a few mock up sketches for the new Megamix in the works. According to him, a release date is coming soon. As for pricing, Ariga mentions the book is planned to retail for 1,524 Yen+additional tax. (roughly $15). He apologizes for the high price, citing it has something to do with the overall size of the book (reported to entail 300 pages) and a limited amount of copies available from the get-go. Apparently, the popularity of other books pose a threat to Megamix's sales. All in all, expect to hear future Megamix updates soon. 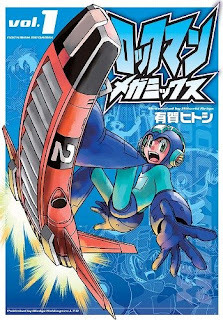 "Also this fall from UDON comes new Mega Man manga brought to you straight from Japan! Initial titles will focus on the adventures of the original Mega Man and also Mega Man ZX, the latest addition to the core Mega Man universe. More details on these and other titles will be coming soon." Nerdgasm! 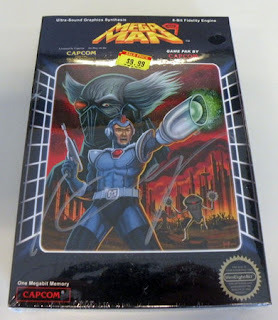 "adventures of the original Mega Man?" Megamix perhaps? Good lord, that would be a dream come true. "With more than 100 video games in the Mega Man series, the blue bomber is one of the most iconic figures of gaming. Over the past 20 years the diminutive blue robot has been at the head of Capcom’s most popular franchise. Now UDON has expanded the studio’s relationship with the property, and is gearing up to bring new Mega Man art books and manga to English readers. Arriving Fall 2009, the Mega Man goodness begins with Mega Man: Official Complete Works. This 200 page book showcases 20 years of artwork from the classic and most well-known version of the hero, covering the core Mega Man games as well as little-known spinoffs and even rarer Japan-only titles. Fans will enjoy loads of designs of all their favorite characters like Proto Man, Dr. Wily, Roll, Rush, Bass & Treble and, of course, piles of evil robot bosses! Also within are never before seen rough sketches, rare promo artwork, and commentary from Capcom creators. Shipping a few months later is Mega Man X: Official Complete Works. This artbook focuses on the original Mega Man’s successor, Mega Man X, who’s unique style and fast paced adventures have made him nearly as popular as his classic counterpart. Here fans will get to see all the dynamic designs of characters like heroes Zero & Axl, deadly villains Sigma & Vile, and all the wild robotic animal men who love to cause trouble for X and his crew!" Man, I'm going to be spending a lot on books this fall. 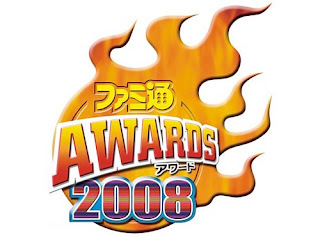 Famitsu, the gaming magazine in Japan, have gone and named Capcom their choice for developer of the year at the Enterbrain award ceremony. Needless to say, Capcom is very pleased. Sadly, Rockman (although nominated) did not win "character of the year", the honor goes to Metal Gear's Solid Snake. Ah well, maybe next year buddy. 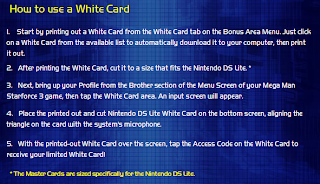 It appears Capcom is taking the liberty of implementing the "White Card system" in Mega Man Star Force 3 after all. According to the official site: Notably, the "bonus area menu" is currently unavailable at this time. Maybe it'll open up closer to SF3's release. RUMOR: "Keep An Eye Out On TGS, No MM News At E3"
"In response to Seth Killian's statement: 'You'll be waiting a while"
-Pretty much that, Capcom Japan doesn't reveal things to us very often, they're very secretive so I would just keep an eye out at Tokyo Game Show, we won't have any MM related news at E3 09'. 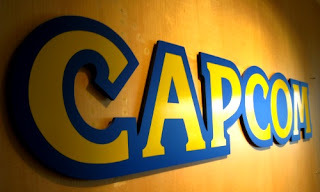 -Capcom Japan is where all the "secrets" & "hidden projects" are kept at. 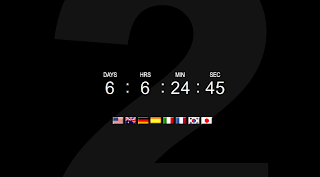 Capcom USA, we're usually told about them either right before they announce it, or sometimes they don't even tell us what they're about to announce and surprise us too. So they're an unpredictable bunch believe it or not. 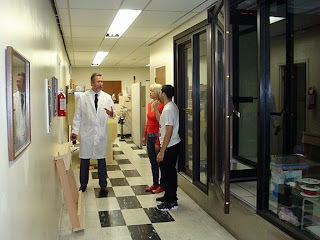 We don't have direct access to all their internal projects as some people may think companies do. -The only internal chat here in the USA office is just us wondering ourselves when Capcom Japan is going to announce a new MM game and send us information regarding them. " Well what do you know; even Capcom USA is unaware of what CJ is cooking. 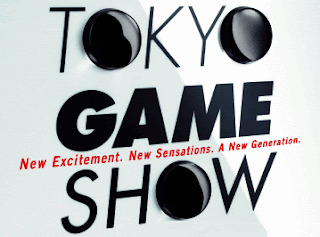 Interesting... Well, as for the Tokyo Game Show statement, we definitely do have a bit of a wait ahead of us: TGS 2009 is scheduled to run from September 24th - 27th 2009. Grains of salt friends, grains of salt. Today, Capcom updated the official Mega Man homepage in an attempt to hype up Mega Man Star Force 3's North American, June 30th, 2009 release. The updated site contains lots of SF3 information, all of which taken directly from the original Japanese site. 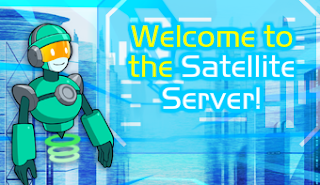 Oh, and best of all, the Satellite Server, one of the main features of the Japanese page, has been translated entirely into english. Tickle me impressed. Now, anybody care to try out the Japanese Satellite Server codes? A little disheartening news today: Mega Man Network local, Christian, attended the recent Street Fighter IV National Tournament where Seth Killian, Capcom USA's community manager, was present. Christian had some time to speak with Seth, requesting if he had any idea of what games MM fans could expect beside the upcoming Star Force 3. Seth's answer: "You’ll be waiting a while." 2009 has been one hell of a boring year for the franchise, can you possibly imagine more waiting? Regardless, TMMN is currently in the process of gaining a little bit of clarification from Seth. I wonder, where does Coro Coro's mystery game fit into all of this? "Jazwares will be introducing a line of vinyls called JUVI's. They'll feature uniquely sculpted head pieces and a streamlined body base that is perfect for customization. Look for Sonic the Hedgehog and Mega Man in spring and early summer." 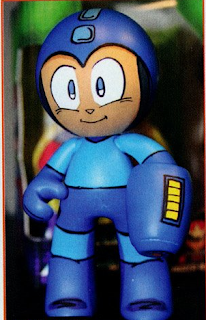 In another blurb, Joe Amaro, head of product development at Jazwares, stated that the Retro Roto Mega Man figures were very popular and hopes the JUVI's will expand upon that popularity. Thanks for the heads up, Radix. It's been a little of a while since we last had some decent beta footage. Today, rikaru111 brings us an early look at Mega Man X5 with various audio and superficial differences from the final retail build. Can you spot them? 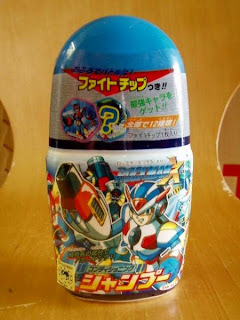 I've grown use to seeing a lot of wacky Rockman goods from Japan, but nothing could prepare me for this find: Rockman X3 shampoo. Shocking. Even more shocking is the price; a whopping 9,000 Yen starting price. That's around $93.75 USD! According to the seller, the unopened bottle (made in 1995) hails from the back of a convenience store warehouse, gone unnoticed until recently. Expired? Probably....does shampoo expire? I'm not entirely sure what this promotion is, but what I do know is that it features a guy in a X costume riding a bicycle. It's Japan, what do you expect? I Wanna "Take U 4 A Ride"
Well here's a pleasant little surprise. Rockman 9's status of being a Wii exclusive title in Japan is no more; the game is off to XBLA this June. 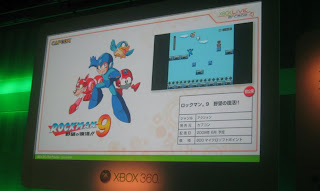 According to a press conference in Japan, Rockman 9 will join the ranks of 30 other games coming to the console in 2009. UPDATE: Famitsu reports RM9 is also on it's way to the Japanese Playstation Network. 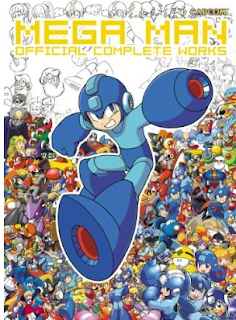 Amazon has updated their Mega Man Official Complete Works page to include the book's cover art. What do you think? Not too vastly different from R20, isn't it? As a reminder, MMOCW is set to release on October 14th, 2009 for 39.99 ($26.99 through Amazon). The second volume, Mega Man X: Official Complete Works is coming down the pipe with an expected November 2009 release. Amazon has yet to set up a pre-order page for the book. EDIT: Just spotted X and Vile on the cover. An indication that some MMX material will be in the book? Perhaps a simple mistake? It's here! The Mega Man 9 Remix Project team just released the first sample track for download! The sample is a mash up of various remixed themes featuring a wide array of styles ranging from jazz to downright techno. 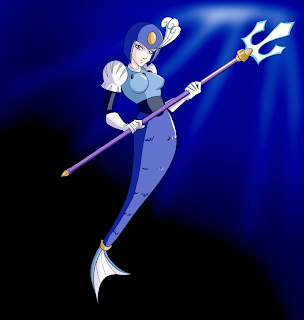 In addition, the remix team released early promotional art for the album featuring Splash Woman (pictured). All in all, the remix project is turning out to be a labor of love. Expect more samples and a project release date in the very near future.Send your feedback to the project's official forums! If you've been holding out on Capcom-Unity's weekly auctions and raffles, you might want to invest your points now: an autographed copy of the Mega Man 9 press kit signed by series creator Keiji Inafune, is up for bidding. "It's signed by Inafune-san himself. Beyond it being instantly far cooler than it already is, there's another wonderful part of this auction you're bound to love... We'll ship it internationally. That's right, so no matter where you live, we'll ship this Press Kit to you if you win. " There's no doubt in my mind now; Marvel vs. Capcom 2 is coming to a Xbox 360/PS3 near you. Among Japanese developers, Capcom has and continues to be the biggest supporter of the PSP. 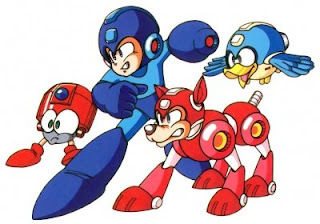 Their allegiance to the platform began with the "Arekore line up", high quality software that included the likes Irregular Hunter X, Rockman Rockman and other popular IPs. The history of the Arekore line is somewhat depressing as only one title of the line met its potential; Monster Hunter Portable. IHX and RR fell victim to lackluster sales and shortly afterwords, the Arekore brand was dropped. All's not gloom and doom however, the Arekore campaign brought about a series of really cool promotional goodies. From December 2004 to March 2005, purchasers of the line could apply to win prizes including limited edition iPod Shuffle faceplates, and the allusive "Special Arekore Collection" UMD. 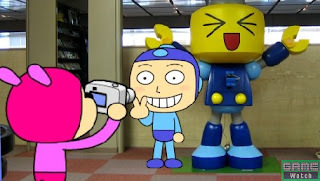 The UMD contains a fun little promotional video starring cute animated renditions of Rockman and Rush (pictured) as they explore Capcom of Japan's Osaka HQ. During their trek, the duo present trailers for the Aerkore line up and interview select CoJ staff. It's all in good fun. Unfortunately, the feature can only be found on this particular UMD, however a ten second clip of the promo was formerly featured on YouTube two years back. The video has since been removed and has yet to resurface. Reclaiming the source of the footage won't be an easy feat as the UMD was limited to 500 prize winners. Rare? You bet. If you've got this fun promo lying around, do us all a favor and share! The Mega Man series has spawned its fair share of bootlegs, but for the life of me, I don't recall ever seeing this mockery before: Ebay UK is hosting an auction for a Mega Man X8 Game Boy Advance cartridge. A 32-bit X8? Now that's what I call a technical feat! Tomorrow is a very special day as the intrepid musicians of OverClocked Remix plan on revealing their first batch of Mega Man 9 remix samples as part of the Mega Man 9 Remix Project; an attempt to unite the OCR community in composing and orchestrating new interpretations of the MM9 soundtrack. Plenty of acclaimed OCR artists are attached to the project so we should be in for a real treat! 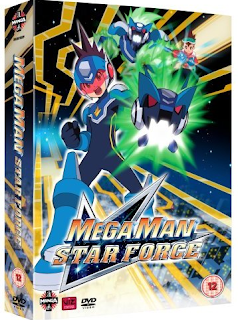 Amazon UK have slashed the price of the Mega Man Star Force DVD set, marked down to a low £9.98 (originally, £19.99). Jump at this opportunity while you can; as of this writing, Amazon's computer notes only 5 copies remain in stock! Sure, there's more on the way but why delay? This sweet deal might not last forever. 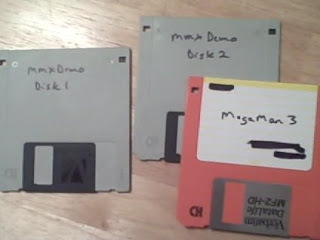 PRC reader Jimb0 has come into possession of rare, prototype builds of the infamous Mega Man X and Mega Man III DOS games. The floppies yield from Jimb0's local flea market, retailing for $4.00 each. The content of the prototypes aren't all that special unfortunately. 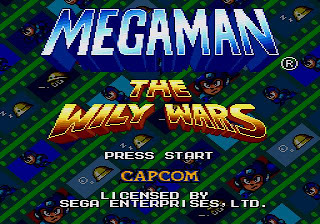 The MMX demo plays exactly the same as the final build, the only difference is that of the words "KIOSK DEMO" are embedded on the title screen. The MMIII proto is an incomplete build, notably lacking Wave Man, Blade Man and Oil Man's stages. And for some really strange reason, Dr. Wily is named "Doc Willy." Jimb0 hopes to rip both prototypes and release them online within the week. If you live outside of North America, chances are you've missed out on quite a few Mega Man related goods at Capcom's online store. Well as of today, you can rest easy: Capcom will now ship internationally. "We're not going to hide the fact that international shipping is expensive. That said, we're keeping the shipping cost to you exactly what we pay to get it to you. We're not making profit on it. Everything in the store besides games will ship to you. So you can get all the shirts, figures, soundtracks, press kits, controllers, etc. that were previously not available to you. Now your Capcom collections can be complete no matter where you live! Be on the look out for more exclusive swag in the Capcom Store. " Sweet deal. 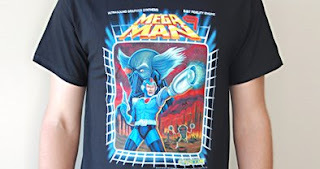 Head on over to the Mega Man store and shop away! After what seems like a very long wait, UNIQLO have finally revealed their exclusive Mega Man/Rockman T-Shirts. Simple but elegant. Both shirts go on sale (in Japan) on April 20th, 2009. If this is not a sure fire sign of Marvel Vs. Capcom 2 coming to the Xbox 360, then I don't know what is: A list of Achievements have popped up for the title on Xbox360Achievements.com, chronicling all sorts of challenges. There's no word if these are official, but If you couple this news with the leaked ESRB rating and arcade stick preorders, then it seems more and more likely that MvC2 for the 360 is happening. I'll keep you posted. Thanks to GSR for the tip! Mega Man X: Best. Game. Ever? The original Mega Man X is one of the voting options for GameFaqs' "BEST. GAME. EVER" poll, the websites largest, most community driven poll in five years. Contending for MMX's spot are the likes of Phantasy Star IV, The Legend of Zelda:Link's Awakening and Final Fantasy III (FFVI outside of US). Very tough competition! 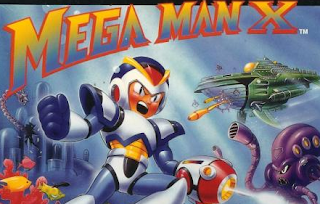 If you love the original MMX or just flat out love the X series in general, do your part and vote! The latest issue of Nintendo Power is out, and this month’s "NP Staff poll" honored Mega Man: The Wily Wars as the staff's most wanted Virtual Console title. NP polls in no way affect VC releases which is truly unfortunate as we're well over due for some more Virtual Console MM love. Want to instantly join the ranks of Rockman collector geekdom? Now's your chance. Somebody is selling the complete classic series Mega Man Game Boy Collection on ebay. "Complete" as in everything: boxes, booklets, cartridges. Yeah, this is sheer win. Such a godly collection won't come cheap mind you,the bidding starts at $600 with the option to "make an offer." If I were you, I'd try for the later but I don't know how low the seller is willing to go. What will the homebrew scene think of next? And so it begins: Amazon is now taking preorders for Mega Man Official Complete Works for $26.57 (regularly priced at $39.99! ), slated to ship October 14th, 2009. "With over 100 video games to his name, Mega Man is one of the most recognizable icons of gaming. Mega Man: Official Complete Works showcases 20 years of artwork from this classic series and features character designs, box art, promo art, and loads of rarely seen art pieces. No Mega Man fan would dare miss out!" Amazon lists the book at a whopping 200 pages, so it's safe to assume MMOCW contains all of the classic series assets from R20 (which took up roughly 2/3 of the original 336 paged book). Wouldn't it be nice if Udon goes the extra mile and adds a few bits of MM9 art? I can dig that. Don't have the means of importing SSROCW? Play-Asia's got your back, the online store recently stocked the book for $35.90 with an additional $10.90 shipping. It's a little pricey but I'm sure it's well worth it for the 170+ pages of spiffy art. On a completely different note: hurray 500k hits! 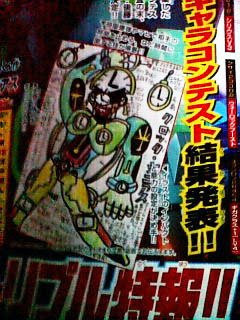 MMN local, Fireman, managed to acquire the May issue of Coro Coro Comics, the same issue that revealed the winning boss design "Clock Genius." According to him, the issue had no additional details about the new game and incidentally, neither did the preview for the next issue (June). Although the designs were not shown, the issue did list names of the other boss contest entrants. As luck would have it, only one foreign entrant made the cut: Lou Smith from the US! What a honor that must be, congrats man! "The creator of the video is a friend of mine, and if I know him, he is good at hacking and video editing. Now from what I've seen here is called Keyframing(something to put an image over a video), he used Sony Vegas along with probably good old paint to edit this, along with playing Ryuusei no Rockman 3 on an emulator. Notice the intro's flaw in not being copyrighted to Nintendo and the intro "fades slowly" and seems just too high quality for an intro. He must have moved and replaced(after editing an image of the black ace title)with the english title using keyframing or maybe a gif animator. And he recorded the emulator playing the rom, taking the video and replacing it as audio under his new title, something quite simple to do. I noticed their is no such thing as Plasma Gun1, he keyframed a new battle card bar under over the video in just the right placement, that new image was edited from probably picturing the battle card bar and edited with sprite textures of the english text from sprites of sprites inc I'm guessing. Also it would be really hard for him to do the story thats why it skipped to a battle he just put in there, the deletion time status is also wrong as you can see it seems badly put in if it were in the game." Many thanks to Craig and Kyouya Garyuu. This week on Capcom Unity auctions and raffles is an exclusive Rockman 20th anniversary mug, previously distributed at various Japanese events and more recently, Wondercon. 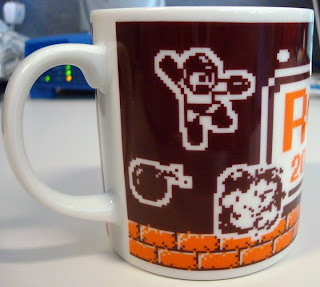 A perfect item for classic series Rockman fans and hot beverage afficionados! Learn how to bid on auctions and raffles here. Eddie Lebron Wants Your Questions! "Within the next 7 days, post your questions! All questions after 7 days will have to be saved for another time." "The ending of the film has been modified to be more faithful to game. Without giving much away, one element from a later game was incorporated to the end of the film but after much thought, I thought it would be better to change one or two things in the editing and visual effects to modify this and please myself and other fans alike. Upon release, I shall reveal what change was made!" Hmm, I wonder what it could be? In closing, Lebron once again emphasized his intent to have the film ready by July 4th, 2009. Apparently, the coming weeks will be crucial to the film's deadline.Best of luck Eddie! For fans of the Rockman X manga by Yoshihiro Iwamoto, there is a great auction up for you on the Yahoo! block: all five collected volumes for 7,000 Yen ($70). 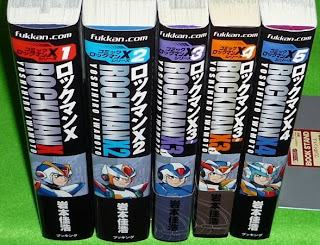 Often considered to be the Rockman X manga, Iwamato's 12 volume series was re-released and repackaged into five convenient volumes a couple years back with brand new cover/back art by the author himself. Seller notes of a few bits of wear, scratches and bends, but nothing too serious. Sure, it's all in Japanese but hey, if you love Iwamato's snazzy art style, don't let that stop you. If it does however, there's always Dark Neko's Lab. How popular is Mega Man's image? Popular enough to spawn a knock off by Gillette, makers of countless shaving products. 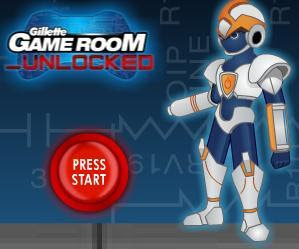 Pictured is what appears to be a Mega Man inspired character sponsoring a sweepstakes at the "Gillette Game Room", a website designed to provide gamers with "exclusive news, strategy guides, and features." Thanks for the tip, Trike.